PEDAGOGIC PROGRESS - I THINK! A student of mine who attended an international conference last week proudly proclaimed, upon his return, that he had managed to communicate in English. "Yes", he continued. "I told them to speak very slowly and be prepared to understand a lot of Italian words!" Meeting Marilena Lorefice and her husband Fabrizio Poidomani is both a pleasure and an opportunity for a fascinating lesson in the history of the Sicilian nobility, for Marilena belongs to one of the oldest families in Sicily. Her thirteenth century ancestor, Sigismundo, fought in the Holy Land and, following a victory in 1263, was rewarded by the Pope with extensive estates in Sicily. 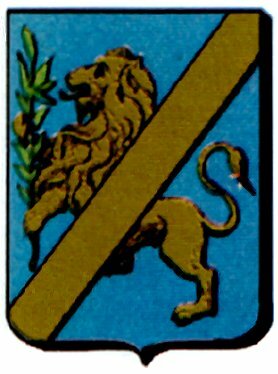 The family, originally from Naples, transferred its seat to the island and their name derives from their coat of arms in which the lion carries bay – Latin “laurea” and Italian “alloro” – as a symbol of victory and Latin “fero” – to bear. Many male Lorefice of past generations are buried in the Co-Cathedral of St John on Malta , having become Knights of Malta because of an unusual tradition devised and followed by aristocratic Sicilian families: if a mother had borne several sons, only two were allowed to marry so as not to divide the family; the others would become celibate Knights of Malta. Fabrizio’s family is a noble one, too, having arrived in Sicily from Spain in the seventeenth century. The two families have been connected by marriage for several generations. Marilena inherited the historic Lorefice house, originally a sixteenth century farmhouse, and its adjoining watchtower, the Torre del Cozzoverro. “Cozzo” refers to the location of the house on a hill and “verro” to the Roman magistrate and governor of Sicily, Verres. Cozzoverro functioned as a look-out tower and below it was another tower, the Torre di Commaldo , which is still family property. When the look-outs at the Torre di Cozzoverro espied the Turkish enemy approaching from the sea, the 2,000 inhabitants from nearby dwellings would rush to the Torre di Commaldo to hide. 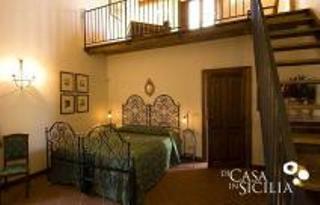 Now Marilena and Fabrizio have lovingly restored the house and watchtower, together known as the Torre del Cozzoverro. They live there themselves at Christmas and for one month in the summer and rent the property out at other times of the year. Surrounded by meadows, wheatfields and a carefully tended garden, the house has external sloping walls dating from 1700. The house has a living room, dining room, kitchen and downstairs bathroom plus a loft with: 1 double bedroom + 2 single beds , 1 triple bedroom + 1 double bed, 1 double bedroom and 3 bathrooms. The tower has a living room, study and kitchen plus 1 double bedroom, 1 twin bedroom and 1 bathroom on the first floor. 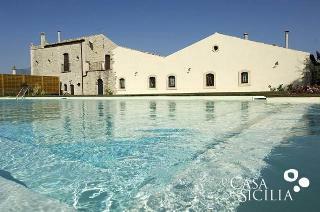 The property has 2 swimming pools with a changing room and 2 bathrooms near them plus 2 external showers. Lucia the chef is available on request to prepare traditional local food such as gli arancini di Montalbano [Montalbano’s riceballs] and focaccia for guests. 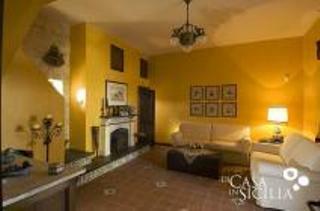 The Torre del Cozzoverro is ideally located for visits to the nearby Baroque towns of Modica, Ragusa and Noto, the unspoilt countryside of the Cava d’Ispica and the beaches of the Marina di Modica and Vendicari. 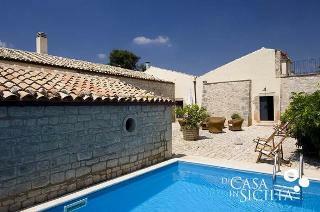 Further information and rental costs can be obtained from Di Casa in Sicilia and from CV Travel in the UK. Pictures of the house appear here with the kind permission of Di Casa in Sicilia. Today Marilena and Fabrizio run a business, bring up their child and study English. Marilena also paints. Marilena with one of her paintings. 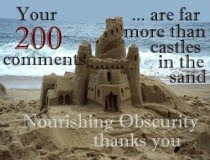 MOUNTAINGIRL'S PHOTO CHALLENGE - "REFLECTION"
AND I THOUGHT I HAD WATER PROBLEMS! 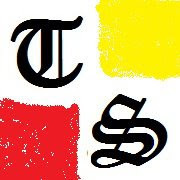 Italian utility companies are not usually super-efficient at disconnecting the services of late payers but this week a water company acted quickly and cut off an important client – the legendary US Sixth Fleet, which operates in the Mediterranean Sea out of the port of Gaeta [Latina]. By doing so the company nearly caused a diplomatic incident. The Sixth Fleet once had its headquarters at Gaeta but in 2004 it was combined with United States Naval Forces Europe and the staff as a whole now works from Naples. The USS Mount Whitney is the Sixth Fleet flagship and its only permanently assigned ship. Other US vessels are assigned to Sixth Fleet as they enter the Mediterranean. 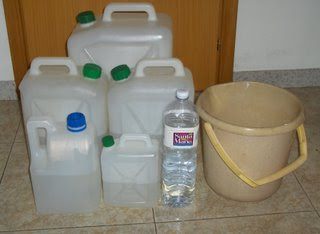 Under a confusing and bureaucratic distribution system in the Gaeta area, Aqualatina s.p.a. supplies the water, whilst another private, local company delivers it. The delivery company charges high rates for out-of-hours work and passes these on to Acqualatina. It seems that the Americans got fed up with what they regarded as excessive charges and refused to pay any more bills. Acqualatina then promptly interrupted their service. Following an emergency meeting yesterday involving Gaeta’s Mayor and Prefect, the harbour master and representatives of both water companies, the matter has now been smoothed over. In future Acqualatina itself will deliver to NATO vessels in the port. Every cook in Italy has a special way of making pasta al forno - one of the world's great comfort dishes - and this is Rosa's version. She brought me what she calls a "small portion". Ottima, Rosa! IS THE MINISTER OUT TO LUNCH? Most Italians seem to think that Minister Gianfranco Rotondi has, at the very least, been daydreaming and many have declared him mad, for he has had the temerity to suggest that the sacred long lunch break is not good for the country’s productivity. Newspaper cartoonists have had a field day, unions are up in arms and nutritionists have been quick to point out that Italians have a very light breakfast, if they pause for this meal at all. Nutritionist Pietro Migliaccio has stated that his compatriots en masse risk a “blood sugar crisis” in the afternoons if they do not stop work for the traditional Italian lunch. In the south of Italy the long lunch break is widely observed, partly because the summer heat makes it impossible for people to continue working between 1 pm and 5 pm but in the north there are more and more companies who direct their employees to work to Northern European patterns. Bar owners, restaurateurs and hoteliers throughout Italy have always worked through the siesta hours, as do some manual workers and, of course, medical professionals. However, the reckless suggestion by Minister Rotondi that a long break to digest what is still the most important meal of the day might be bad for both the waistline and the Italian economy has met with derision country-wide, especially as Mr Rotondi dared to compare the British and German short lunch breaks favourably. After all, every Italian knows that no other nation has the faintest idea how and when to eat so who is Mr Rotondi to criticise the time-honoured practice of turning city centres into ghost towns for the duration of lunch? Doesn’t he remember his mother calling, “The pasta is draining!” as mothers do all over Italy at 1.30 pm precisely? And as for holding up the British as exemplars of good eating habits – a nation of culinarily challenged clowns who fry food at 8 am and nibble dry sandwiches whilst working – that is too much for any Italian to stomach. Too late, the now beleaguered Minister has claimed that he did not say that Italians should renounce their lunch break, but had merely pointed out that he gave up his own lavish lunches twenty years ago – an explanation that is being taken with a pinch of salt just large enough to add to the pasta pot. Match the proverbs 1 - 6 with their meanings a - f below. For answers, highlight the space below where it say, "Highlight below for answers". Really, they are there! 1. Cuànnu si sciarrìa a matri c'a figghia, 'a vicina s'arrassàri cientu migghìa. 2. Bòn tièmpu e màlu tièmpu nun nùra tùttu u tièmpu. 3. Çiòvi e çiòvi supra ô vagnàtu. 4. Unni si sùnu campàni ci su buttàni. 5. Cu' è picciuottu è riccu. 6. 'Ntr' amici e 'ntra parenti 'n'accattari e 'un vìnniri nenti. a. He who is young is rich. b. Where there are bells there are tarts. c. When a mother quarrels with her daughter, a neighbour should go a long way away. d. It always rains on someone already soaked. e. Don't buy or sell anything among friends or family. f. Neither good weather nor bad weather lasts forever. 1c, 2f, 3d, 4b, 5a, 6e. I adapted this from a recipe I saw in an advertisement and oh, dearie me, I didn't have any small paper cases! Put whatever paper cases you have onto freezer-proof trays. Then you drain some Amarena Fabbri preserved cherries and pop one or two into your paper cases [one if you have small, elegant cases] . You are then supposed to pour over Fabbri Kroccant chocolate sauce but I couldn't find any to buy yesterday so I melted some vanilla-flavoured Modican chocolate with some plain, dark chocolate - which we all now know is good for us - in the microwave with a drop of the syrup from the cherries. Pour it over, decorate -or not - as you please and leave to cool. [You could add some chopped almonds to the chocolate after it has melted but I didn't have any of those either!] Leave to cool and then put in the freezer for about 20 minutes to firm up. Then be very naughty. It's always nice to have a freebie, especially when you are not expecting it. So I was pleased when the greengrocer threw in this generous bunch of parsley yesterday. I am delighted, tonight, to be able to present a new poem by Antonio Lonardo, Luoghi ["Places" ] along with my own translation. Antonio has dedicated this poem to the friends of his youth and the poem won third prize out of 514 entries in the AXA 2009 Poetry Competition held in the Comune di Rocca Canavese [Province of Turin]. 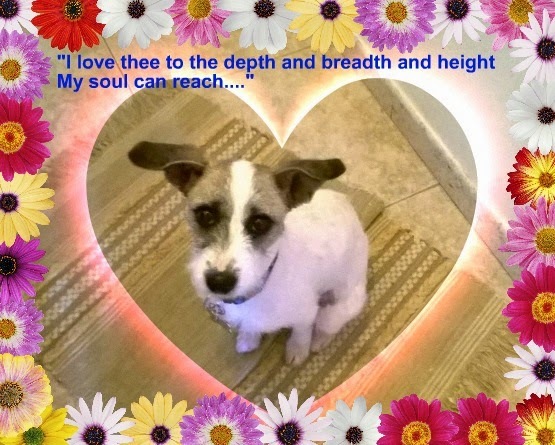 The poem appears here with Antonio's kind permission. 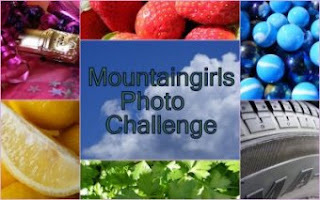 MOUNTAINGIRL'S PHOTO CHALLENGE - "BODY PART"
It's Friday and time for my friend mountaingirl's Photo Challenge. Why I always end up doing these posts just before midnight, I don't know but c'est la vie. This week's theme is "body part" and that had me dithering for quite a while, mountaingirl, as there's no part of my body that I particularly like. Then I remembered that I've got what my schoolmates used to called "double-jointed" arms, though I gather that the term now used is "hypermobility". Well, all I can say is I'm glad I'm hypermobile somewhere! As a child I could never work out why everybody thought my arms were strange, if not revolting, as I thought everybody could scratch their own back right the way down, put their left hand behind their back and touch their right shoulder with it and pull forgotten junk out of awkward, bendy kitchen cupboards. I learnt to hide my arms eventually and even now, I'm shy about them. But if my Welsh blogging pal Liz can display her extra toe, who am I to chicken out? It's hellishly difficult to photograph your own arm, by the way, "double-jointed" or not. 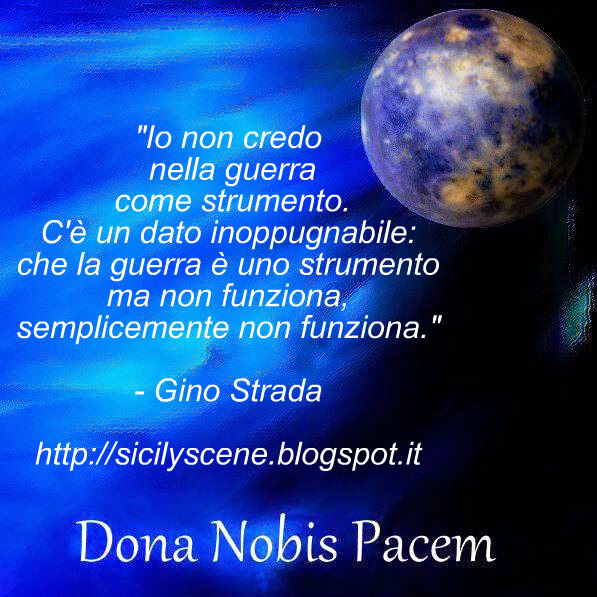 This is an article of mine which was published in Italy Magazine on Thursday. 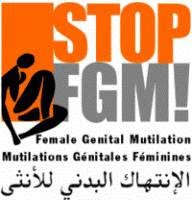 While I was researching it, I found what I read disturbing and it still disturbs me. I am republishing my article here because I would really like to know what you all think. “All the world loves a lover” but in Italy at the moment a pair of “lovers by correspondence” are inspiring curiosity rather than romantic sentiment: the journalist Donatella Papi, champion of the Rom [Roma], director of the online newspaper Comincialitalia * and former special correspondent for Il Giornale, has announced that she wishes to marry Angelo Izzo, who is serving a life sentence for two murders. Corriere della Sera reports that Ms Papi has written to the governor of Rome’s Velletri prison to request a meeting with Izzo in order to make wedding plans and obtain the necessary documentation to marry within the prison. Izzo, 56, has told a journalist that he and Ms Papi, 53, have been corresponding and have thereby developed a deep affinity for each other. He confirms that marriage is a possibility and states that this may happen sooner rather than later. 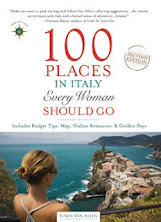 Izzo was convicted for his involvement in the so-called “Circeo Massacre” of 1975: He and two others invited two young women they had met casually to a party at a villa in San Felice Circeo [Latina, Lazio]. There, for nearly two days, 17-year-old Donatella Colasanti and her 19-year-old friend Rosaria Lopez were systematically tortured and raped. The men then killed Rosaria and attempted to kill Donatella but she miraculously managed to raise the alarm and subsequently survived her ordeal and physical injuries. She was psychologically damaged for the rest of her life and died in 2005. In the same year Izzo was released on parole and brutally murdered a mother and her 14-year-old daughter. The case caused much debate about the penal system in Italy. Donatella Papi worked for the women’s magazine Gioia before moving to Il Giornale and was chief Press Officer for the D’Alema government. She has also worked for Ansa and for political institutions. She has published two books, Avere un figlio [To Have a Child] and Come avere un figlio con la fecondazione artificiale [How to have a child by artificial insemination]. Donatella Papi currently lives and works among Rom communities in Eastern Europe. *I have not linked to the site because I am getting "harmful to your computer" messages when I try to click on it. che si terrà sabato 5 dicembre 2009 alle ore 17,30 presso la sala conferenze del Palazzo della Cultura a Modica, Corso Umberto I, 149. This event will take place on Saturday 5th December 2009 at 17.30 in the conference room of the Palazzo della Cultura, Modica, Corso Umberto I, 149. Liceo Scientifico "G, Galilei", Modica. Director of "Teatro Utopia", Ragusa. On Wednesdays and Fridays we have a great treat at the English International School, for student "Kitty" makes wonderful squisiti biscuits and brings them to class. She is pictured below with her husband, who also attends the class. Cross-posted at the EIS blog. Cathy and I had a working lunch at the Bar Follie a Vista today, choosing from their superb tavola calda. I can tell you that the pasticcio with ricotta, spinach and ham in the right foreground of the second photo was as light as air and delicious. In what other country could two people eat so well for under 10 euros? In fact, we ate so well that we forgot the time and dashed back to the School like two lunatics! 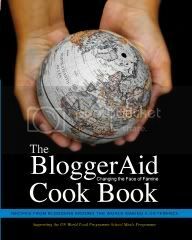 Some months ago, I posted that I had submitted a recipe for inclusion in the Bloggeraid Changing the Face of Famine Cookbook. Tonight I am delighted to be able to tell you that the Cookbook has now been published and it looks full of good things. 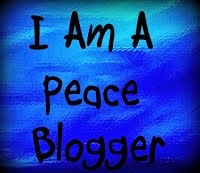 Do visit the Bloggeraid Changing the Face of Famine website to see a slideshow preview. The Cookbook is the work of what was initially a small group of food bloggers which just grew and grew, first and foremost because of the cause but also, I am sure, because of the excellent information on the site. Proceeds from the book will go to the United Nations World Food Programme School Meals Project and I cannot think of a worthier,or more appropriate, cause. You can buy the book from the Create Space estore which is a connection of Amazon. Prep. time: about 20 minutes. Cooking time: none. Serving size: at least 12 helpings. The first thing to do is to prepare your tin: you will need the equivalent of a 2lb loaf tin, preferably an elongated one. Just line this with cling-film [plastic wrap]. Then chop the 200 gr candied orange zest as small as you can. I find this is best done using a kitchen scissors. Now whip the cream up to the soft peak stage with a hand mixer and add the caster sugar. Mix it well with a metal spoon. Add the savoiardi crumbs and chopped candied zest to the cream mixture with the grated zest and mix it all together. Spoon it all into the prepared tin and smooth the top with a palette knife. Cover with more cling-film and then wrap the whole tin in foil. Put in the freezer for at least 8 hours. Turn the semifreddo out onto a long plate [you’ll find it will come out beautifully so don’t be scared!] and decorate with the extra candied zest and the segments of the orange. Serve at once. It is essential to use whole candied peel for this. If you cannot get the Italian kind, it is possible to make it yourself and many Italian cookbooks give a recipe for this. Please do not be tempted to use ready-chopped candied peel as the result just will not be the same. 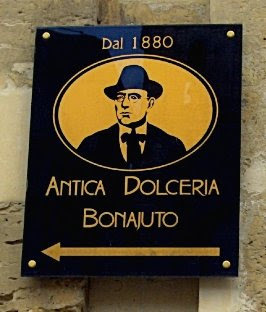 Thank you, thank you, thank you to my friends at the Antica Dolceria Bonajuto - Sicily's oldest chocolate makers - for posting this lovely link on twitter. You sure know how to cheer a girl up on a Saturday night! The scene outside the greengrocer's this morning. MOUNTAINGIRL'S PHOTO CHALLENGE - "ARCHITECTURE"
First of all line a 2lb loaf tin with cling film. Chop 100gr white chocolate with mint and 50 gr dark chocolate [I used Modican chocolate flavoured with vanilla] very finely in a food processor. In separate bowls whip 300 ml whipping cream [panna da montare if you are in Italy] and the whites of 2 eggs to soft peaks. Now put everything in one bowl and add 2 teasp. icing sugar and a goodly drop or 6 of mint liqueur. Mix it all together well with a metal spoon. Transfer the mixture to the lined loaf tin, smoothing the top - which will become the base - with a palette knife. Cover carefully with more cling film and then with foil. Put in the freezer for at least 8 hours. It should turn out and slice easily. If you can't get pure white chocolate with mint, I can only suggest that you use plain white chocolate and add more liqueur! Yes, it's an iron which would have contained coal. What would this have been filled with and for what purpose? Answer tomorrow with a photo of the whole object. The recipe is here, on the school blog. Do go over and say "hello" to student Maria. NO OMINICCHI IN MY BACK YARD!